The original version of this article, by Karen E McNamara, Sarah Henly-Shepard, Roger-Mark De Souza, Nishara Fernando, appeared in Outreach. Island communities, particularly those from small island developing states, are often reported in policy documents, academic papers and mainstream media as being “most vulnerable” to climate change and disasters. While such a classification might serve to raise awareness of their plight, or be used as impetus for global action, this approach can also result in unintended (and damaging) attitudes and consequences. This is well-illustrated by recent off-the-record discussions with several donors and policy-makers who have inappropriately implied it is “too late” to “save the islands,” given their vulnerability to current and impending climate change impacts. Without reducing the urgency at which firm action is needed for both mitigation and adaptation, this commentary aims to shed light on this damaging paradigm and refute this framing of the islands as too late to save. Encapsulated in four main points below, islands must be looked to, and supported as, inspiring champions of livelihood resilience and adaptation to climate change and disasters, from which all island, coastal and mainland communities worldwide must heed. 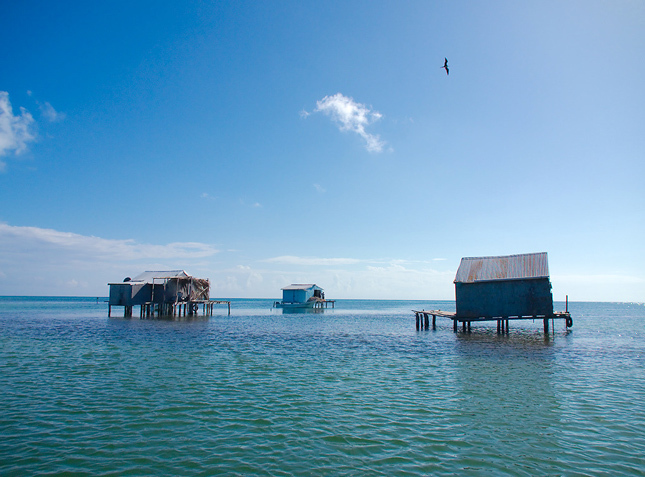 Photo Credit: Houses on stilts in Mexico, courtesy of flickr user Šarūnas Burdulis.